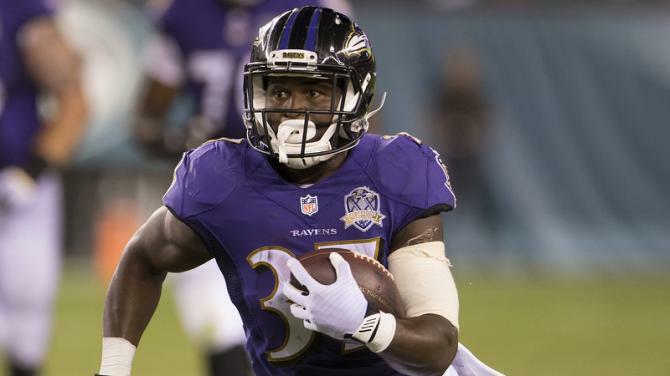 Here are a couple suggestions after Week 3 of the 2018 fantasy football season. You’re welcome. Cleveland is no longer LeBron’s town, it’s Baker Mayfield’s. 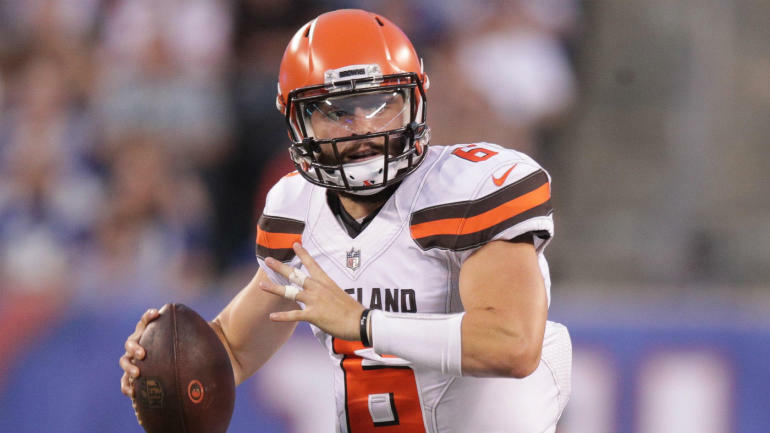 Coming on in relief for an injured Tyrod Taylor, Mayfield completed 17 of 23 passes for 201 yards, also completing a two-point conversion pass, ultimately leading the Browns to a comeback win, and their first in 635 days. He looked dynamic, decisive and ready to roll. We were high on the Browns offense before, but now sky looks to be the limit. Go ahead and grab him in 12-team leagues, or any 2 QB leagues. 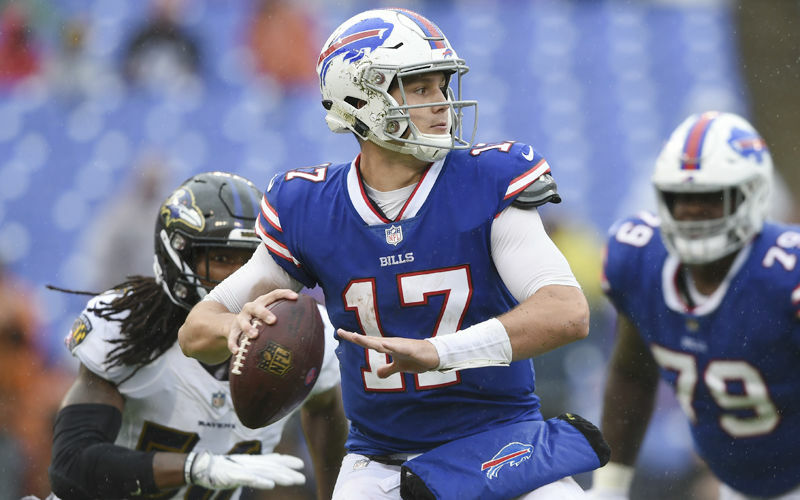 Josh Allen didn’t look great in Weeks 1 or 2, but Week 3 against an imposing Vikings defense was a completely different story. Allen completed 15 of 22 passes for 196 yards and a TD, also rushing for 39 yards and two TDs in a win over the Vikings that likely won tons of money for casinos in Las Vegas. There’s no guarantee that he has any semblance of consistency, but if you’re hoping to catch lightening in a bottle in a bottle, and you miss out on Baker Mayfield, feel free to give Allen a look as a stash in 14-team leagues, or any 2 QB leagues. Hey 49ers fans, I’m really sorry. First it was Jerick McKinnon, and now it looks like Jimmy G is going to be out for the season with an ACL tear. There really isn’t any good news here, but for those in really deep 2 QB leagues, C.J. 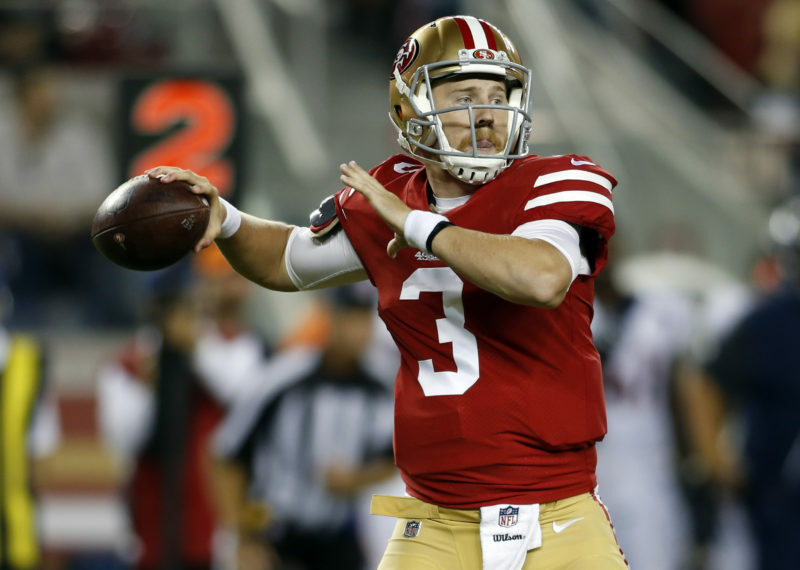 Beathard is a reasonable option that still has a few weapons around him, like Matt Breida, Marquise Goodwin and George Kittle. Plus, the 49ers are really suffering on defense meaning that there should be enough garbage time for Beathard to air it out. Javorius Allen isn’t lighting anything up, as he has only 32 yards on 16 carries so far, but he’s getting an essentially equal share of the backfield with much higher owned Alex Collins and he keeps finding ways to score. In Week 3, he had 6 carries for 7 rush yards and a TD, adding 3 receptions for 19 receiving yards and another TD. Consistency is going to be problem due to his lack of efficiency, but if you need a RB4/5 or Flex in 12-team leagues or deeper, you could do worse. 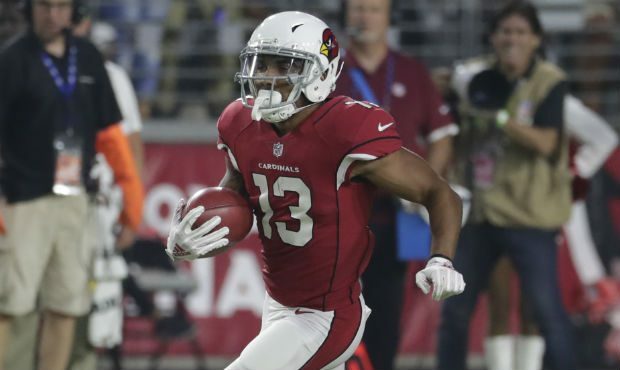 It was unclear how much run rookie Christian Kirk would have in his first year, but we’ve seen his usage increase each week through Week 3 where he caught 7 of 8 targets for a 90 yards against a tough Bears defense. Kirk ended up being the Cardinals leading receiver in terms of receptions and yards in the contest. It’s unclear who will be under center in Week 4 for the Cardinals, but Sam Bradford was benched late for rookie Josh Rosen and Rosen looked for better at accurately finding his receivers, which could be a boon for the talented Kirk. He’s worth a stash in 14-team leagues or deeper. I don’t want to go crazy here, but Albert Wilson has finally got an opportunity to make an impact. 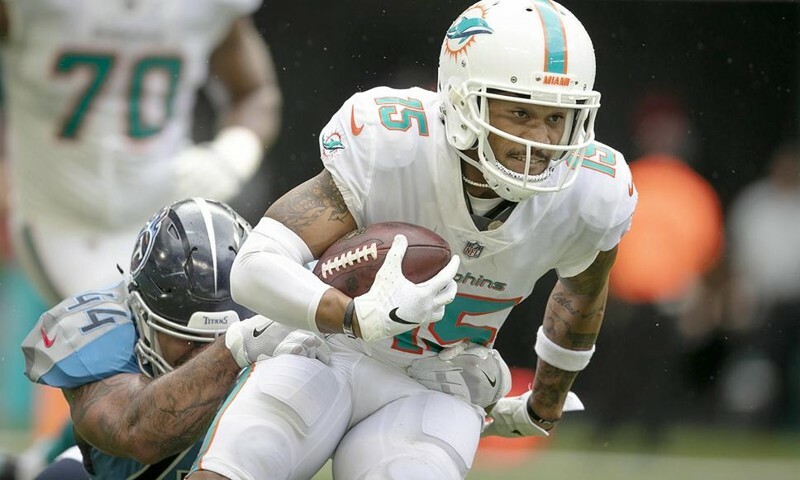 Sure, Kenny Stills and Danny Amendola limit his floor as we’re never sure how the targets will get split up, but in Week 3, Wilson caught both his targets for 74 yards and a TD and also completed a 52-yard TD pass to Jakeem Grant. He had 3 receptions in each his previous games as well, so perhaps his usage isn’t changing much, but it’s clear that he can make the most of those opportunities. If he’s given more, the upside is definitely there, so feel free to stash him 16-team leagues or deeper. Sure, they already have Zach Ertz and it’s been said that the Eagles drafted Dallas Goedert just to spite the Cowboys, but that doesn’t mean he isn’t still a great TE. And we finally got a chance to see that in Week 3 where Carson Wentz came back and made a point of it with 7 targets, all of which were caught by Goedert for 73 yards and a TD. Nick Foles ignored him to the tune of just 3 total targets in 2 weeks, but that all may change now with Wentz. 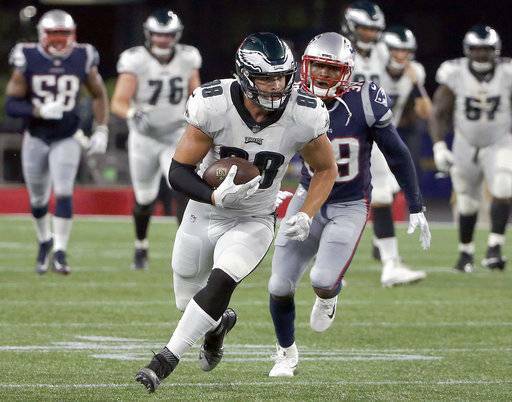 There aren’t many options for targets in Philly past an injured Alshon Jeffery and Nelson Agholor, so feel free to stash Goedert in all 14-team leagues or deeper. No UPDATEs for Monday Night Football this week! All rosterable players over 50% owned. 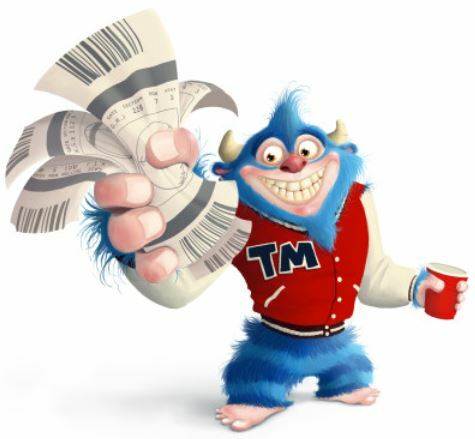 Check back later this week for pickups from Sunday and Monday night games and every week for more Waiver Favors!